It’s no secret that green vegetables are good for your health. It’s also a good source of minerals like magnesium, zinc, calcium and iron. And did you know that broccoli has omega-3 fatty acids and protein, too? If you’re trying to get all your nutrients in an easy, tasty way, broccoli smoothies are a great choice. When you think of a smoothie, you might be thinking of a fruit smoothie. Sweet, cold and delicious, fruit smoothies often pack plentiful servings of dietary fiber and vitamins. Many smoothies add dairy or sweeteners, but to get the maximum health benefits you’ll want to stick with whole, unsweetened foods. 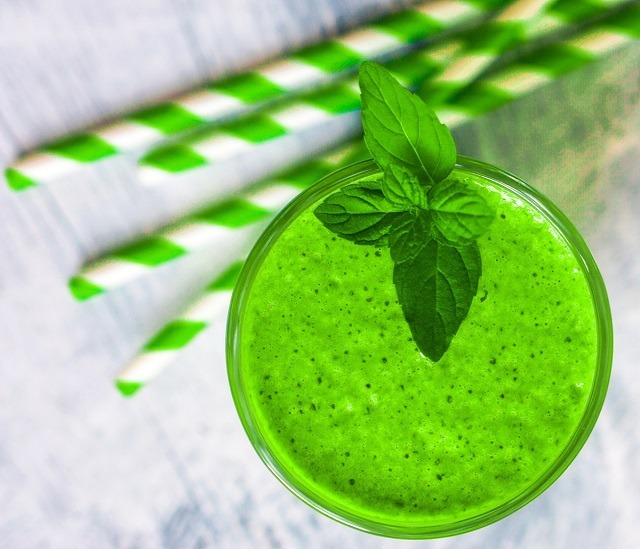 Green smoothies, like those that contain broccoli, often have even more vitamins, minerals and health benefits than a simple fruit smoothie. The high vitamin C content from broccoli is an immune system booster, while its vitamin A promotes glowing, healthy skin. For internal health benefits to visible results, adding a broccoli smoothie to your routine is sure to have a health-positive impact. 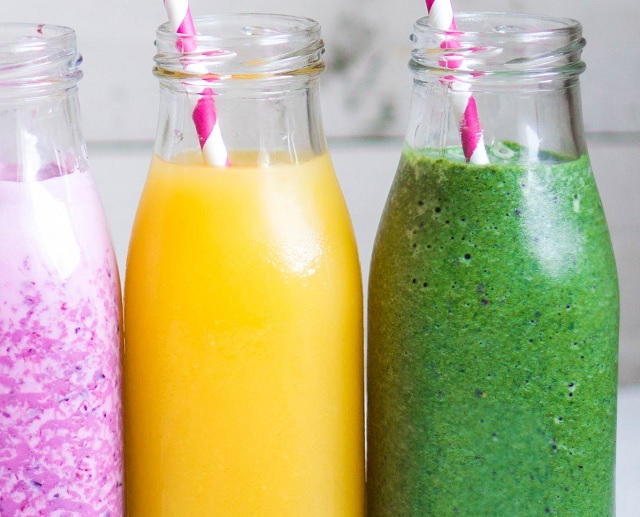 Smoothies are easy and fun to make. You’ll need a blender, some ice or frozen fruits, and your favorite produce. For a smoother, thinner smoothie, add a thinner with health benefits like almond or coconut milk, aloe water, or coconut water. You can also add your favorite “no sugar added” juice. Get out your high-powered blender. Tip: Some blenders are better than others! A Ninja or Vitamix is best for smoothies. Prep your ingredients. With some blenders, you will need to slice or cut ingredients. You may also want to keep track of your portions. Add items to blender. Be careful not to overload your blender. If you add items one at a time, then blend before adding more, you’ll be able to have a smooth consistency. Blend until smooth. The amount of time for this step depends on your ingredients and volume. Pour and enjoy. Some people like a straw with their smoothies, others like to chug their smoothies down. It’s up to you how you’ll drink your smoothie. We’ve already touched on a few of broccoli’s health benefits. But there’s more to learn about broccoli! People who eat raw broccoli absorb some of the vitamins and minerals faster than those who steam or roast the veggie. There is one side effect worth noting: broccoli is very high in fiber and can contribute to gas and bowel irritation. If you have these issues with broccoli, you don’t need to avoid eating it, but you should limit your portions to a non-irritating amount. Also, consider the use of over-the-counter aids like Beano or other gas reducers. 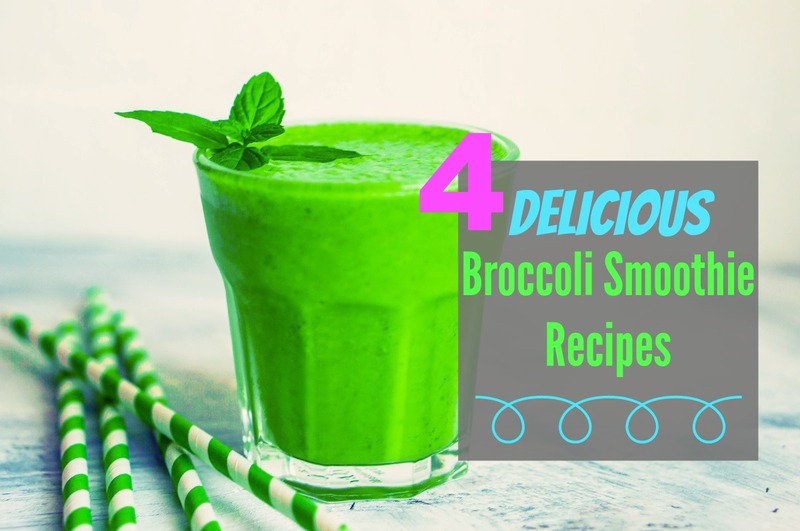 Here are 4 awesome broccoli smoothie recipes to get you started. You'll need to freeze bananas in advance. To do this, peel ripe bananas and cut them in half. Place in a freezer safe Ziploc bag for a few hours, until solid. Put all ingredients into the blender and blend on high until smooth. When to drink it: In the morning, or whenever you want to visit the tropics in a glass. Extra tips: If the consistency of this smoothie is too thick, or you'd like to add something extra creamy, consider 1 cup of plain whole milk yogurt. Remove half a frozen banana from the freezer and place directly in the blender. Measure out the rest of your ingredients. Add to blender and blend until smooth. Gently grate fresh ginger, if desired. Note that ginger is very powerful so aware of how much you are adding. When to drink it: This is great to drink first thing in the morning, or whenever you need an extra boost of green veggies. 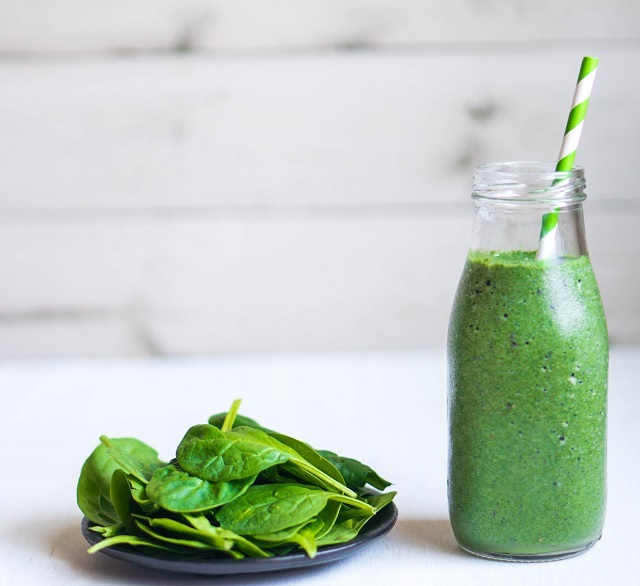 Extra tips: If the taste of greens is too much to handle, try adding frozen berries or coconut water to your smoothie. Remove frozen banana from freezer and place into blender. Add the rest of the ingredients, withholding the coconut water. Add coconut water a little at a time until desired thickness. Top with whipped cream for a dessert-like impact. Great for sneaking some extra veggies into kids! When to drink it: As a treat in the evening or on the weekends! This smoothie is delicious and nutritious. It's great for adults and kids alike. Extra tips: For an extra decadent and healthy smoothie use coconut cream in place of coconut water. You can find coconut cream canned in the most grocery store or liquor stores. It's frequently used as a mixer for pina coladas, but is full of healthy benefits. Just make sure to get the unsweetened version! Add items one at a time with splashes of aloe water until blended smooth. When to drink it: Anytime you are craving the taste of broccoli. Extra tips: Add a sliced apple to sweeten it up! What are you waiting for? Make a broccoli smoothie! 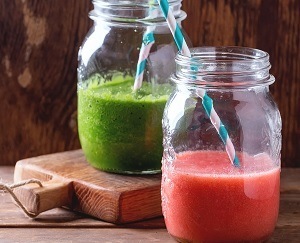 Broccoli smoothies are a delicious, easy way to get extra healthy foods into your diet. The options for broccoli smoothie combinations are endless. One last quick tip: if you have a favorite smoothie recipe, you can add broccoli to it! Simply reduce the amount of ingredients slightly and add 1/2 to 1 cup of broccoli. Many smoothie recipes have ingredients to mask the taste of broccoli, so it’s an easy way to get the health benefits. Which broccoli smoothie will you make first?